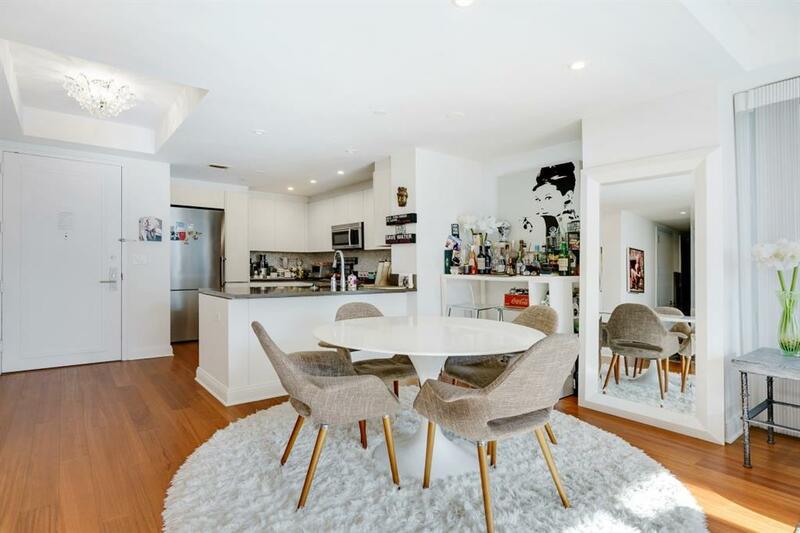 Bright & Spacious 2-BED/2-BATH Apt. 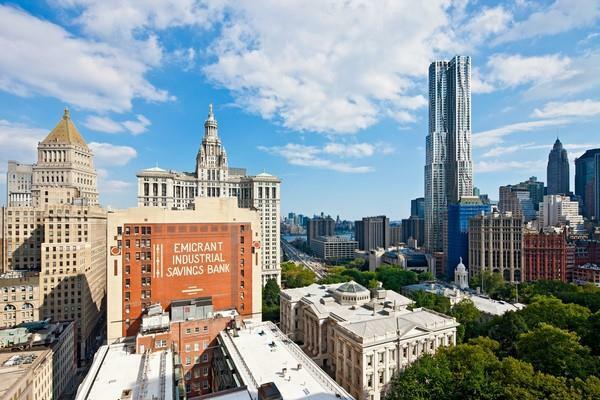 with elegant finishes and magnificent views over City Hall and Brooklyn Bridge/Park. Floor-to-ceiling windows provide sunny exposures to the South and East. OPEN EXPOSURE / VIEWS from ALL Rooms. 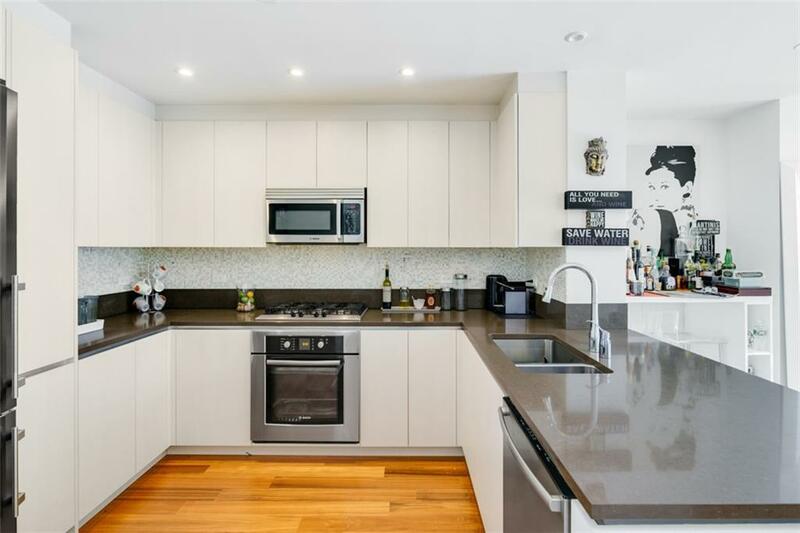 Teak Flooring, CENTRAL Heat/AirOpen kitchen perfect for entertaining guests high-spec cabinetry, Caesar Stone Countertops and quality appliances including Liebherr refrigerator, fully-integrated Bosch stainless cook-top/oven, microwave and dishwasher. Ample storage space with a large closets throughout.WASHER & DRYER in Unit.Bathrooms with marble counter tops, oversized mirror, accent lighting and limestone tile. 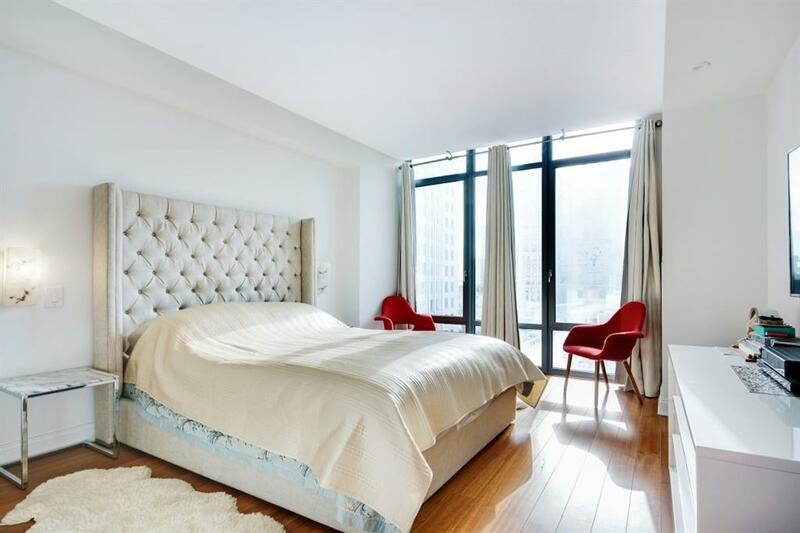 Several custom improvements and elegant features including Foyer Chandelier, LED-recessed lighting, Surround Sound wiring, and Motorized Blinds.57 Reade is one of the most desired condominiums in TriBeCa that includes a 24-hour doorman, live-in resident manager, state-of-the-art fitness center, a landscaped common garden, residents lounge, private and bicycle storage and cold storage for fresh food deliveries.